The history of the spice trade conjures up exotic images of caravans plying the Silk Road in storied antiquity as well as warfare between European powers vying for control of what, pound for pound, were among the most valuable commodities in the known world. One of the most valuable of the spices was clove – the versatile immature bud of the evergreen clove tree ( Syzygium aromaticum ) which is native to the Maluku Islands or the Moluccas in the Indonesian Archipelago. 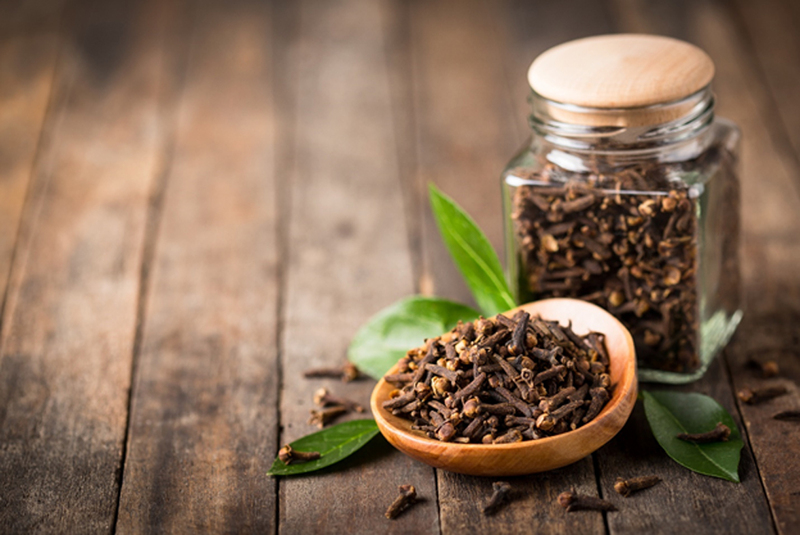 Prized for its flavor and aroma, and also for its medicinal qualities, clove quickly became important for its use as a breath freshener, perfume and food flavoring. We believe we might have found the oldest clove in the world at an excavation in Sri Lanka, from an ancient port which dates back to around 200 BC. This port, Mantai, was one of the most important ports of medieval Sri Lanka and drew trade from across the ancient world. Not only that, but we also found evidence for black pepper ( Piper nigrum ), another high-value low-bulk product of the ancient spice trade. Why Did Ancient People Travel Thousands of Kilometers for Incense? Western knowledge of Sri Lanka dates back to at least 77 AD, when the Roman philosopher Pliny the Elder wrote about the island as Taprobane in his famous Natural History . This is the earliest existing text which mentions Sri Lanka, however Pliny states that the ancient Greeks (and Alexander the Great ) had long known about it . Sri Lanka, wrote Pliny, “is more productive of gold and pearls of great size than even India”, as well as having “ elephants … larger, and better adapted for warfare than those of India”. Fruits were abundant and the people had more wealth than the Romans – as well as living to 100 years old. No wonder then, that ancient Sri Lanka drew trade ships not only from the Roman world, but also from Arabia, India and China. Decades of archaeological exploration have sought to uncover evidence for the rich kingdoms of ancient Sri Lanka . Mantai (also written as Manthai and known as Manthottam/Manthota), on the northern tip of the island, was one of the port settlements of the Anuradhapura Kingdom (377 BC to 1017 AD) and has been recently radiocarbon dated to between about 200 BC and 1400 AD . Obverse ( Public Domain ) and reverse ( Public Domain ) of a Setu coin. Today, the site is barely visible from the ground – but it is still an important location with Thirukketheesvaram temple sitting in the center of the ancient settlement. From the air , the defensive ditch and banks of ancient Mantai can be seen covered in trees, as can the area where the defenses were cut away to build the modern road. The site was excavated in the 1980s – during three seasons of excavation an amazing array of artifacts were uncovered, including semiprecious stone beads and ceramics from India, Arabia, the Mediterranean and China. But in 1983 Sri Lanka’s civil war broke out, bringing an end to archaeological exploration in the Northern Province, as well as many other areas of the island. Unfortunately, many of the records related to this archaeological work became lost or were destroyed, including detailed stratigraphic information of how the layers of soil excavated related to one another, which would have been used to identify how and when the site developed, prospered and came to an end. In 2009-2010, after the end of the civil war, a multinational team of researchers went back to Mantai and began new excavations . Work was jointly carried out by the Sri Lankan Department of Archaeology, SEALINKS and the UCL Institute of Archaeology. This project aimed to collect as much evidence from these excavations as possible, including fully quantified and systematically collected archaeobotanical (preserved plant) remains. The plant remains recovered include some of the most exciting finds from the site. Crucially, these include what were incredibly valuable spices at the time when they were deposited at the site: black pepper and cloves. Only a handful of cloves have previously been recovered from archaeological sites, including these from France , for example – other archaeological evidence for cloves, such as pollen from cesspits in the Netherlands , only dates from 1500 AD onwards – and there are no examples from South Asia. Earlier finds of clove have been reported from Syria – but these have since largely been discredited as misidentifications. The clove from Mantai was found in a context dating to 900-1100 AD, making this not only the oldest clove in Asia – but we think the oldest in the world. We also found eight grains of black pepper at Mantai, plus a further nine badly preserved grains that we think are probably black pepper too. The earliest are dated to around 600 AD, the time when international maritime trade became increasingly large and well established across Asia, Africa and Europe. Clove was one of the rarest and most expensive spices in the Roman and Medieval world . It was not grown in Sri Lanka, but came from the Maluku Islands of South-East Asia (some 7,000 km away by sea) for trade onwards to Europe, China or one of the other many regions that traded with Mantai. Black pepper was also traded along these routes, and was most likely grown and harvested in the Western Ghats of India. Although less rare and valuable than clove, it was still known as “black gold” on account of its value in the Early Modern Period from 1500 AD to about 1800 AD. From the 16th century, Sri Lanka (then known as Ceylon) was colonized by various European powers, from the Portuguese (1500s-1600s) to the Dutch (1600s-late 1700s) to the British (late 1700s-1948). They were all drawn by the island’s profitable trade in spices – although the British turned the fledgling coffee industry there into an incredibly lucrative tea trade which is still important to the island’s economy to this day. The article, originally titled ‘ World’s oldest clove? Here’s what our find in Sri Lanka says about the early spice trade ’ by Eleanor Kingwell-Banham was originally published on The Conversation and has been republished under a Creative Commons license.